I hope you enjoyed the long weekend. My husband and I made the most of the sunshine and had lunch yesterday in Warrandyte and explored the gorgeous Warrenglen Nursery. It was lovely. I also spent some time at Simply Natural painting the upstairs bathroom. I must say it looks a whole lot better! It was a very enjoyable and productive weekend. 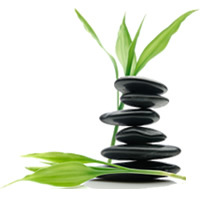 This week I am pleased to introduce you to two new practitioners at Simply Natural Therapies. Brett Farrell. Brett has been practicing hypnotherapy for the past three years. Until 2012 Brett also worked as a case worker for clients with a mental health diagnosis. He has highly developed counselling and hypnotherapeutic skills. At Simply Natural Therapies Brett specialises in helping clients to stop smoking, overcome addictions including drug and alcohol dependence, and other compulsions. If you have been thinking about quitting smoking then there is no better time than now. Brett is offering a saving of $45 on our Stop Smoking Program during June and July. Geoff Charles is not technically a new practitioner as Geoff has been teaching our Kundalini Yoga class for the past couple of years. Geoff is now offering individual sessions in a profound healing technique called Sat Nam Rasayan. This is a process of taking someone into a state of deep stillness to transcend physical, emotional and mental limitations. Sat Nam Rasayan works on a subtle level through the projective meditative mind. For more information about this technique take a look at www.satnamrasayanaustralia.com Geoff’s introductory offer for 60 minute session is $60 during June. (Normally $85). Geoff is available on Saturdays in June and then Thursday evenings. This month our topic is “Easing Pain.” Last week I talked about acupuncture for pain but did you know that acupressure can also have a profound effect on reducing or eliminating pain? Emotional Freedom Technique is a process and tapping on a series of acupressure points to clear negative emotions. It’s interesting to experiment with this technique for physical pain. Whether or not you have a physical injury or a physical explanation for your pain EFT can change your perception of the pain. A while ago I saw an elderly client who had Obstructive Airways Disease as a result of smoking. He had been experiencing severe pain on the right side of his chest for the past 3 months. He had every medical test under the sun and his doctors could not find an explanation for the pain. I showed him how to do EFT and after one round of tapping his pain shifted from the right side to the centre of his chest. He was quite bewildered about that. We did a second round of tapping and the pain disappeared altogether. As I explained last week, sometimes physical pain is experienced when the chi energy in the body is blocked or disrupted in some way. Acupressure can clear that disruption. Pain can also be affected by the memories attached to it. If you are in pain because of a car accident caused by a drunk driver it’s likely that you will feel angry or resentful every time you become aware of the pain. These negative emotions become attached to pain and make it worse. If your pain was caused by playing a sport you love, and no-one else is to blame, you will probably be more accepting and relaxed about it and perceive it as less severe. Letting go of any negative emotions about your pain is surprisingly easy with EFT or Hypnotherapy and can have profound benefits. Go to Emotional Freedom Technique to learn how to do EFT. In a similar way, letting go of the fear of childbirth can make labour much more comfortable. Unfortunately we are brought up believing that childbirth will be painful but when mums to be are helped to clear the fear and taught techniques to create deep mental and physical relaxation, believe it or not, many of them experience no pain at all! Our HypnoBirthing Course teaches couples how to prepare for a safe, comfortable and natural birth. If you, or someone you know, are having a baby then take a look at www.hypnobirthing.com.au We have a new course starting this Saturday. Thank you for the great feedback on the online webcast last Thursday night. A recording of this webcast is available online. It goes for about 30 minutes. Please CLICK HERE and register to access the link for this recording.